McDonald's Shamrock Shake RE-view--does it still truly rock? Shamrock Shake RE-view–does it still truly rock? Growing up in Chicago in the late 70’s/early 80’s was a blast. There were so many things that were embedded into traditions, whether it was something as big as putting up the artificial Christmas tree with Rudolph the Red Nosed Reindeer on TV and hot cocoa in our santa-shaped mugs or something as small (but clearly influential) as getting a Shamrock Shake from McDonald’s when the end of February approached. 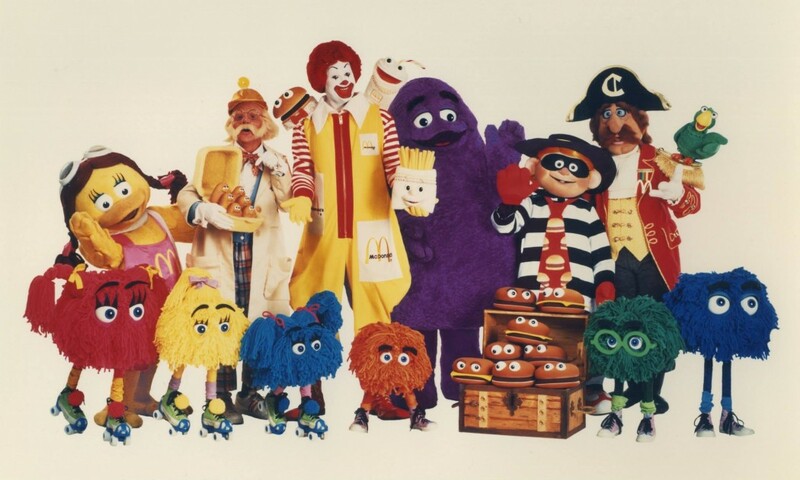 I had plenty of McDonald’s to eat in my childhood, and there are also many other fast-food-type of memories that lace my nostalgia; I’m not ashamed of any of it despite not eating fast food any longer. Anyhow, the Shamrock Shake was something my friends and I always looked forward to. When word got around (aka TV commercials that you couldn’t fast-forward through) that they were serving them, we begged and begged our parents until they caved and we finally got the first one of the year. And I remember they were delicious. I was lucky to have a variety of other (better) ice cream options back then: Gertie’s, Cupid Candies, Farrell’s, Rainbow Cone, and Tastee Freeze to name a few. I told you I was lucky! But that Shamrock Shake. How sad it was when it was no longer illuminated on the brown and orange menu at Mickey D’s and how disappointed I was to have to order just a plain ol’ vanilla shake for another 11 months. So, now that I’m all grown up, I thought I’d check them out again, after about a 25-year hiatus, to see if they are as fantastic as I remember them being. Was it just my easily-influenced young self that imagined them to be better than they truly were? 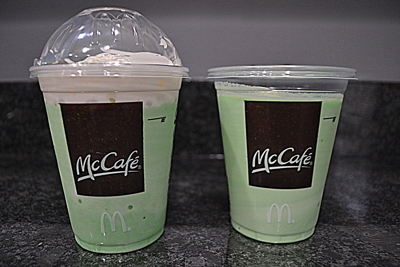 Did I simply love these sea-foam green concoctions because, well, Grimace and Ronald McDonald told me I should? I’m RE-viewing them…seeing them again; now as an adult and through the eyes of a first-time consumer, as I’m also watching as my daughter tries it out for the first time–never having grown up with a crew of friends always talking about how awesome they are. We ventured out (okay, we sent Bob out for us) to pick up a couple of these. My first impression was typical of an older person revisiting a memory: they changed the packaging (insert a curmudgeony “Dagnabbit” here). Of course they did–but I remember those cups just as much as the shake itself: sweaty, waxy and easy to drop. You had to take the lid off to confirm it was indeed green. Anyhow, of the 2 samples, we also had one topped with whipped cream. I do NOT remember that being an option back in the day, but I was happy that my husband knew me well enough to request one with and one without the topping. After we dove our straws in, we hyper-analyzed every second that passed….it was thick, but not too thick. The hint of mint flavor was not overbearing or too strong (I was honestly scared I’d be drinking a toothpaste-flavored nightmare). I was slightly put off at the unnatural coloring, but what would a Shamrock Shake be if not green? Overall, my RE-view of this childhood favorite was a pleasant one, but I’m not going to be craving a second one this season. I’m looking forward too much to Rainbow Cone’s opening for the year! As for the kiddo–she likes it in small doses. She thought it tasted good enough, but after about 1/4 of the way in, she was done. What memories do Shamrock Shakes dig up for you? 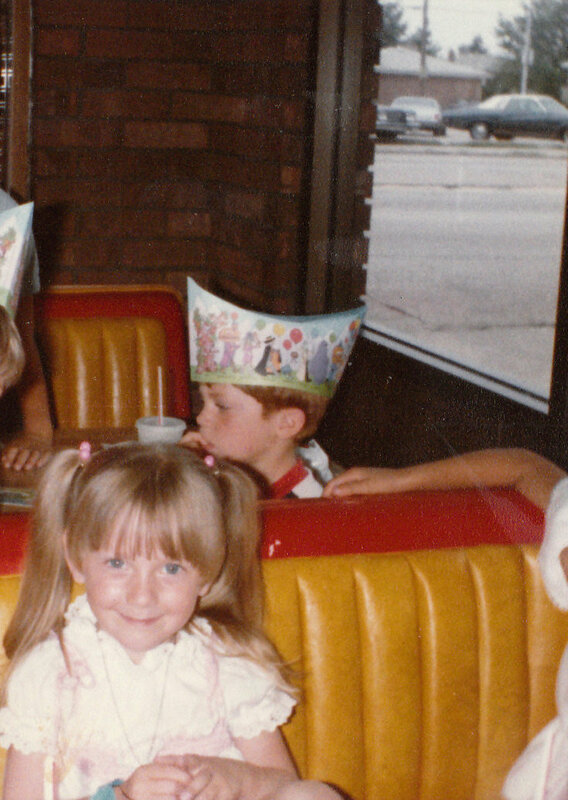 Celebrating my 3rd birthday at the Golden Arches. Clearly I’m lovin’ it. Well said Annie! I think nostalgia and traditions should take precedence over better options! And you just reminded me of Green River floats–yum!